How important is creating a compatible cloud-based portal for channel partners and resellers? The answer may seem easy, [even rhetorical] but nonetheless, is often devalued. Vendors that present their channel partners with a partner portal platform commonly forgo the transitioning process from the “ground” to the “cloud”—as a result, confusion ensues, incentive programs become vague, hinder-stricken obstacles and communication are all but lost. 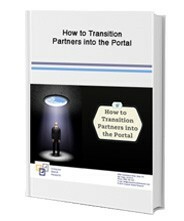 Fill out the form on the right to receive your free copy of “How to Transition Partners into the Portal”.